The Mazda is a sporty midsize sedan, coming equipped with a 2.5-liter SKYACTIV engine producing up to 184 horsepower and 185 lb-ft of torque. Even with all that power, the Mazda 6 is capable of up to 28 city and 40 highway mpg. This is thanks in part to its available i-ELOOP regenerative braking system. 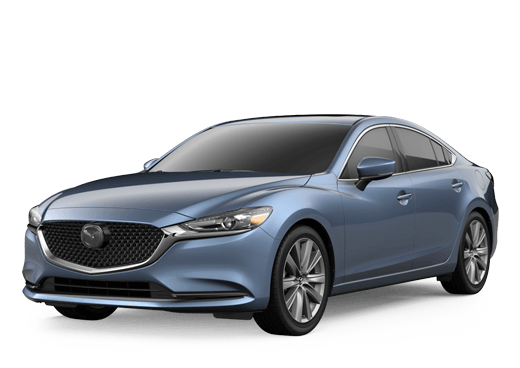 Though many midsize sedans might look similar, the Mazda 6 stands out in the segment with an athletic stance, sleek lines and unique style. The Mazda 6 has plenty of tech features. For example, automatic transmission models have a 7-inch touchscreen and rearview camera, in addition to available Lane Departure Warning and Blind Spot Monitoring. Generous features come with the Mazda 6, but you can also get available features like LED headlights, heated side mirrors, heated front seats and leather-trimmed seats. The 2016 Mazda 6 is a 2016 Top Safety Pick+ by the IIHS. This is thanks in part to its Smart City Brake Support autonomous emergency braking. The midsize sedan segment is too often filled with cookie-cutter models, but the Mazda 6 stands out from this. With a stunning exterior design and upscale interior, the Mazda 6 has the appearance of a vehicle well above its affordable price point. Moreover, it delivers a driving experience that honors Mazda's "zoom-zoom" philosophy. To experience the 2016 Mazda 6 in Midland TX for yourself, just contact us at Mazda of Midland. At Mazda of Midland, you'll find automotive professionals you can trust. Our knowledgeable team can help you understand every vehicle detail and get your Mazda driving experience started smoothly. 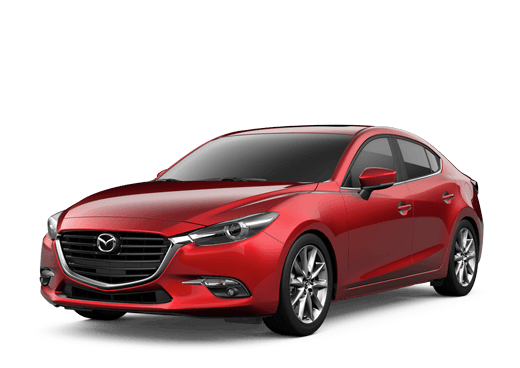 It's an experience you're sure to enjoy, as the Mazda 6 comes with a SKYACTIV engine that delivers a sporty drive paired with excellent fuel economy that can reach up to 26 city and 28 highway mpg, or up to 28 city and 40 highway mpg with the available i-ELOOP regenerative braking system. Though the 2016 Mazda 6 is affordable, it comes generously equipped. Features like a 7-inch touchscreen infotainment display and a rearview camera come standard on all automatic transmission models. Other standard features include integrated turn signals in the side mirrors, LED combination taillights, Bluetooth, push-button start and 60/40 folding rear seats. The model's upscale features are overshadowed only by the vehicle's impressive 2016 Top Safety Pick+ recognition from the IIHS. We could certainly talk about the 2016 Mazda 6 in Midland TX all day long, sharing each and every feature available to you. But the best thing you can do to fully understand the thrill, style and sophistication of the Mazda 6 is getting behind the wheel. Contact us at Mazda of Midland to learn more or fill out the form to get started.